can i be on the nice list? THANK YOU SOO MUCH FOR THE IPOD TOUCH THE OUTER BOX AND MW3 LOVE YOU!!!! Last year I was spending Christmas time at S.T Barths!I got Christmas presents early. On Christmas I got candy and some toys in my stocking that I brought with me to S.T Barths! !Last year was fun but now I moved! Thanks! I love all you give. can you bring justin bieber for christmas? sometimes you have long days. like me. i loved my presents it was the best christmas ever but how did you build the treehouse in time and how did you know what tipe of clothes i liked mabye this year will be better merry christmas santa and everyone at the north pole and the elves i epricheate your hard work once again merry christmas.ho ho ho p.s you are write some of my friends have said things about you not katie or katlin they beleave in you p.p.s i cant wait to get a letter from you through my own door i am the only one in my class who gets a letter off you merry christmas everyone. thank you santa for the candy and the rest of the stuff you got me! i still play with it now. that`s how much i love the stuff and everyone at the north pole! Thankyou for all the presents last year and over all the years3 they were great.I would like to thank the raindears for flying around the world all night. then send me emails and the answers to the questions. hi santa cant wait till christmas in 2012!!!!!!!!!!!!!!!!!!!!!!!!! yo man this was an awsome christmas man. last year was fun! But i know you can top it this year! i just cant wait!!! Yes, I loved last Christmas, but 2010 was my fav, with all that snow, we never get snow! I can’t wait till this Christmas 2! santa u r the most awsome person in the world+mrs.clus.love u all! i loved all of my prezzis. hi santa you do a very good job at being santa you bring my little sister and brother prezzis that they have dreamed for and so have i hip hip hurry to santa. I loved my super mario galaxy game I have loved it ever since and I was begging my parents that I wanted to go downstairs but my dad said not until my mum gets up (which took 20 minutes)But I also loved my stoking presents I like the stocking presents and the tree presents all the same. but I do not mind if Santa brings me some presents I did not put on my list because every present is special because it came from Santa and Santa knows me very well. I hope you had a good travel! I have a question. How many houses do you visit? Enjoy your very nice break from your flight! Hello Santa I sent you LOADS of emails and I Still have to send you a thank you letter from last christmas. Anyway GREAT blog I really like it. Thumbs up! santas right it dosent matter what u get what right is santa and every one else still loves u!!! Santa, I Thank You for bringing wonderful presents to me and my siblings. To be honest, I didn’t list the painting kit in my Wish List but it’s really helpful at times when I need help especially the brushes and different color paints. I promise I will do everything I can to be a good girl this year and Thank You once again. i loved them tell every one at the north pole i said hi and the deer i am 10 years old wirte back! I loved my $10 you left me!!!!!!!!!!! i would like to ask you how do you come to the children? christmas is my favorite! not only because of the gifts, also because it celebrates god’s birthday! i love him so much he’s my invisible friend! santa clause is also about to be my invisible friend,too! p.s, sorry if i’ve been naughty this year! I liked the presents you brought me. Santa you must of been very tired going all around the world for little girla and boys, and in the morning your back to normal because you can see the smiles on each and everyones face in the world! I loved the presents that you brought me. And I get what you are saying, Christmas does not come in gifts or bags it comes in love from your very own family! Omg u sent such awesome stuff. manicure set, stuff from bath and body works! Hersheys chocolates in Chicago when i live in India and the best an IPOD TOUCH.OMG OMG OMG. Tanx a many! Santa i loved my owl pj’s and my owl watch thanks for everything ! THAT I COULDN’T STOP THANKING YOU. THANK YOU SANTA VERY MUCH AND THE ELFS. AND OF CORUSER YOU MRS.CLAUSE TOO. PS.I LOVE YOU GUYS SO MUCH. i had an amzing morning. ps: thankyou for all my lovely presants it’s even better than what i put on christmas list! Thank u thank u thank u 4 what u gave us. I luv the Harry Potter Legos. I liked the gifts I got but I didn’t get a real live dog but I’m very happy of which I did get!!!!! Can not wait to see you next time. 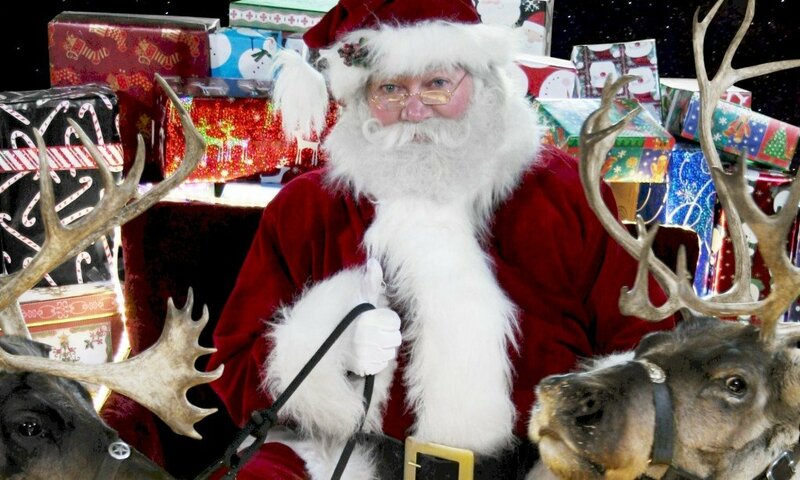 Santa I cant wait for you to come back to Northport again to visit me see you on December 24th,2012. thank you for all the presents even that i did not get what i wanted i still love Christmas and i love YOU!!!!!!! Thank you SOOOOOOOO MUCH for the MacBook Pro!!! My friend got something from Mrs.Claus and I didn’t. santa clause, thank you so much for what you brought me.Tell everyone merry christmas!!!!! You gave me a thermos set but it was good! It wasn’t on my list though. I like the present you give me this year. You Must Be tired! Thanks For The Gifts! And How’s Rudolph? MERRY CHRISTMAS AND HAPPY NEW YEAR!!!!!!! thank you for my bike and i enjoyed th hunt!!!! i really liked you pressent i cant belive i got it really santa you are awesome!!!!!!!!!! i love you to i want a wii and a loptop. I love you santa! Thanks for the presents. THANK YOU FOR THE CAMERA AND AMERICAN GIRL DOLL BED! yes!I did thank you santa! Thanks for the great Christmas gifts! Dear Santa I loved mi present I look fowword too using they awesome give you gave me that I opened yesterday. Thank you for the happy napper,juilery box,the weaving loom stuff and everything else you gave me!!!!!!! i love love love my new compter!!!!!!!! i am using it write now!!!!! do my elves have to leave? i miss them so mutch i almosted cryed this morningi when they were i left them. give them a big hug and kiss from me!!! i saw my raindee!!!!! i named it jamie!!!!!!!! i love you!!!!! i need your hlpe i’m been bad laet so i’m wondering what to do? p.s. i need a sute like yours. Thank you for the helicopter! And money + every thing Ilove you! I love you Santa and I would like to thank you lots for the new cell phone and all the minutes!I hope you enjoyed the cookies,I made them myself! Enjoy your nap! 🙂 See you next year Santa. Thank you for the presents, I especialy liked the ‘Singing and Storytelling Belle’. I ABSOLOUTELY LOVE my iphone4 you gave me Santa! Thanks! Stay warm at the North Pole! Oh my goodness gracious. I HAD THE BEST CHRISTMAS EVVERRRRR!! :O thank you SO much for the wonderful presents. I have so many! Previous PostPrevious Christmas Eve 2011!